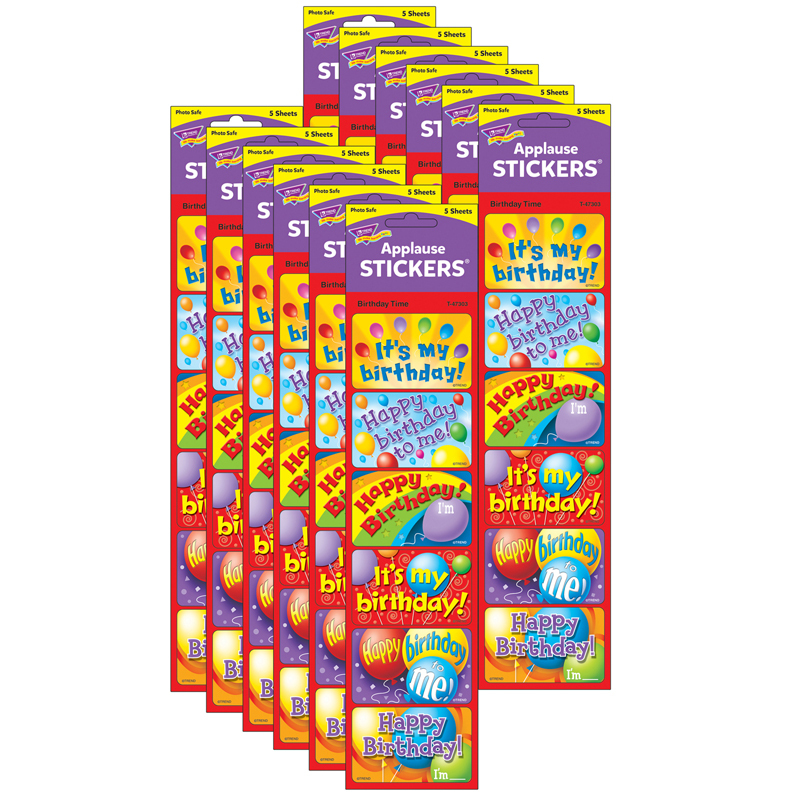 Big, bold stickers are fun rewards for celebrating special days and good work. Kids wear them like name tags or put them on homework, folders, name plates, cubbies, and lockers. Acid free, nontoxic, photo safe. 6 designs; 30 stickers per pack, 1.5" x 2.5". Includes 12 packs.